November saw very little change in the distribution of OS versions on classic BlackBerry phones. November saw 46.6% of users running OS 7, with the rest of the user base split rather evenly between OS 5 and 6. This data was collected by BlackBerry World for downloads of the free BlackBerry strategy game Pixelated. 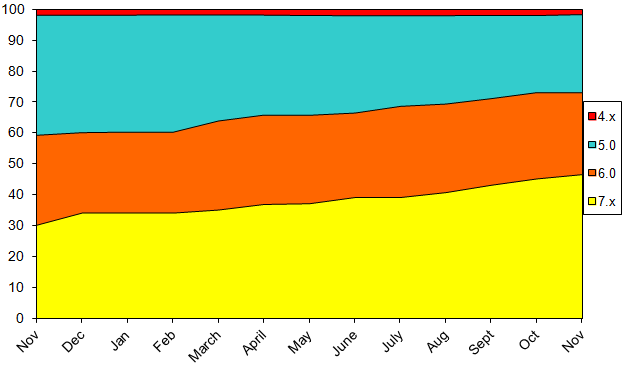 Data shown on the chart is from the beginning of November 2012 through the end of November 2013, and does not include BlackBerry 10 or PlayBook devices.